Got a cabinet or pantry full of disorganized cans and can’t seem to get them in order? Oh yes you can! The slim (only 5.5 inches wide), compact Canned Food Dispenser stores up to nine 10.5- to 16-ounce cans on two levels. When you remove a can from the bottom tier, another can takes its place thanks to the gravity-feed release system. This space-saving can storage system also works well on refrigerator shelves to keep soda cans neatly stored and easy to grab. The Wire Can Storage Rack provides three spacious shelves (18 inches wide by 16 inches) of storage space for canned goods, designed to accommodate a total of up to 45 cans of varying sizes. The shelves are slanted to allow the next can in line to roll to the front (a rim keeps cans from rolling off the shelf), and the base has rubber feet to keep the unit firmly in place. 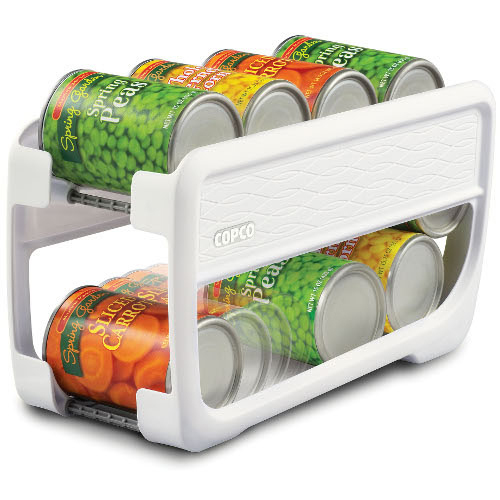 The Canned Food Organizer Rack features six angled shelves with ample room to store all sizes of canned necessities. 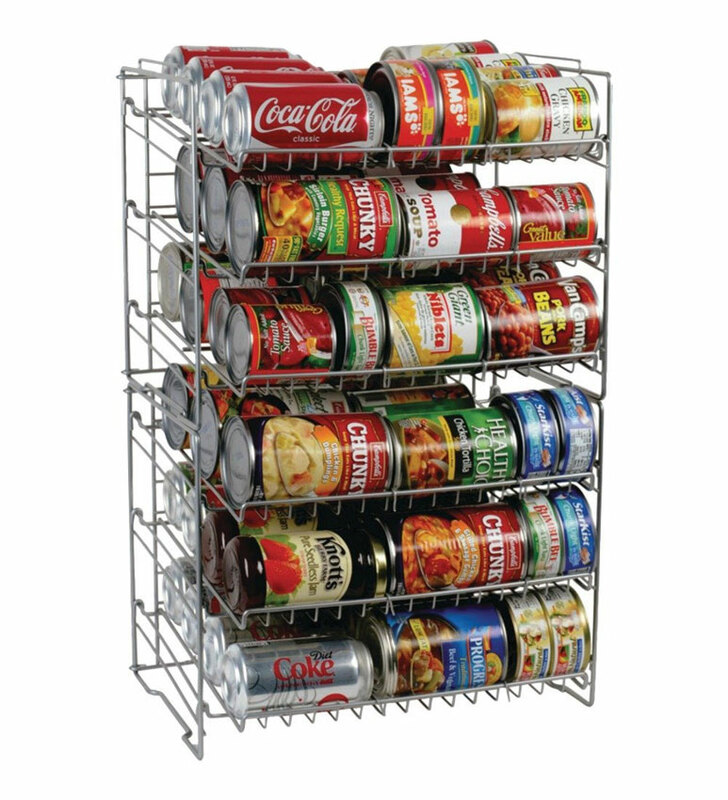 You can fit several cans on each rack–the number will depend on the size of each can. This organizer is also versatile: it can be assembled into one large rack or two smaller ones.